When you think of Jaguar, what comes to mind? Power, of course, or a thrilling ride. But the Jaguar brand is about so much more than that—it’s about sophistication, boldness, luxury, and really feeling absorbed in the feeling of driving. Which is why Jaguar doesn’t limit itself to burly roadsters but instead, offers a wide range of models to fit your tastes and needs. So if you’re looking for a fuel-efficient luxury vehicle and think Jaguar can’t provide, there are a number of 4-cylinder Jaguar models ready to change your mind. Why Buy a 4-Cylinder Jaguar? 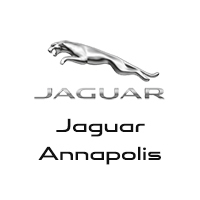 The truth is, speed isn’t everything—some people prefer a nimble vehicle to navigate the winding streets of Baltimore, while an Arnold resident might prefer a high-efficiency vehicle for those daily commutes, and they can get exactly that from a 4-cylinder Jaguar, which is designed for incredible mileage. But you’ll also get the kind of signature style and plush interiors that only Jaguar can provide. So if you want an efficient vehicle that can stand out from the crowd, take a ride in one of our 4-cylinder Jaguar models today.